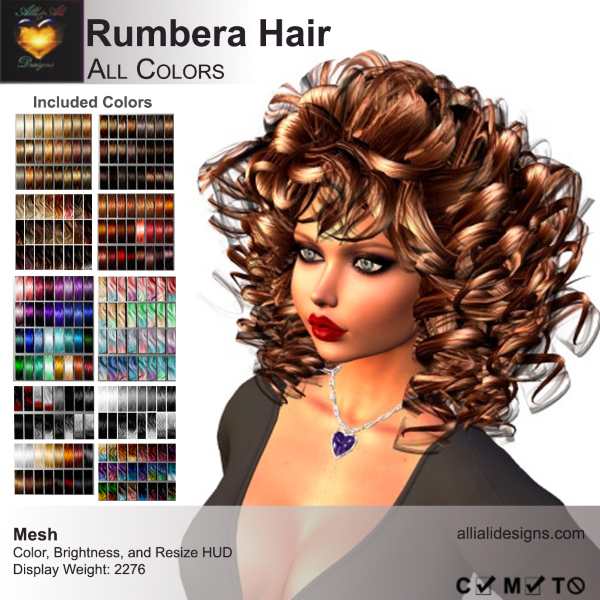 I gave you a taste in my previous post, and here’s the complete low-down on Rumbera, the latest offer from Alli&Ali Design’s Mainstore. Rumbera, as with all of their recent releases, incorporates a few design tricks that drastically reduce the display weight of the style. And just what is the display weight? Every item you add to your avatar affects how much memory someone’s system requires to display you completely. 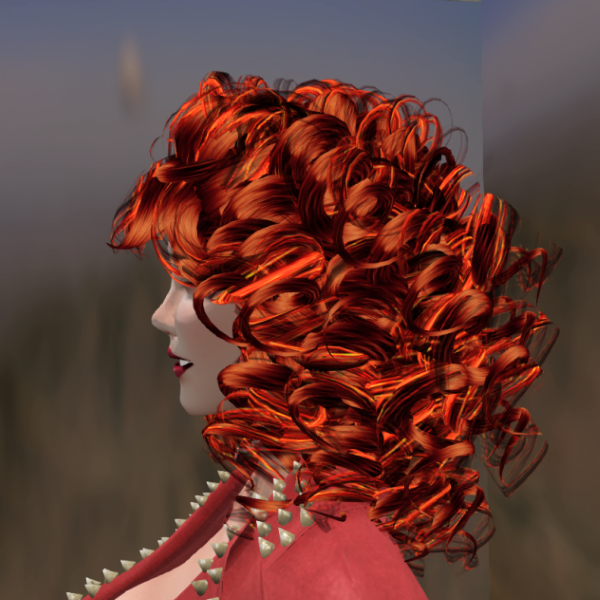 For example, I have a few older hairstyles from other vendors that carry a design weight of over 100,000. That, in turn, means I’m carrying around a lot of prims. And it is that large number of prims—or the design weight—that may take other people’s displays a long time to fully render me. That’s the brief, non-technical explanation. Alli&Alli Design’s new approach reduces the design weight of their new styles. Specifically, Rumbera has a design weight of just 2276, which means your avatar will render much more quickly. As I said, the free edition only comes in Fire Red, but you know me: I’m a ginger, so it suits me just fine. Rumbera: new technology means lower display weights. Only at Alli&Ali Design’s Mainstore! Previous postIt’s Not Always About Hair!